The Sons Of Liberty - Are You Doing Your Duty? 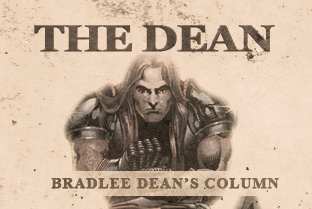 Home - The Dean-Are You Doing Your Duty? Patrick Henry said, "Give me liberty or give me death!" William Williams, signer of the Declaration of Independence, took the issue of liberty seriously, and considering the high cost that was paid for our freedom, we should do the same. The following is a short bio of Mr. Williams, along with a true comic story of an instance in Mr. Williams' life. William Williams was born in Lebanon, Connecticut, the son of a minister, Tim Solomon Williams, and Mary Porter. He studied theology and graduated from Harvard in 1751. He continued preparation for the ministry for a year, but then joined the militia to fight in the French and Indian War. He was also pastor of the First Congregational Church in Lebabnon, Connecticut, as well as a very successful merchant.